Fiction is perhaps the most powerful form of teaching available. It can be most potent for good; and if we are to allow it to work for evil we shall surely have to pay in time for the consequent evil effects. Let not anyone with a non-understanding or misapplied moral sense say or believe that fiction, being essentially based on something that is not true, should be excluded altogether from the field of morals. The highest of all teachers and moralists, Christ Himself, did not disdain it as a method or opportunity of carrying great truth. But He seemed to hold it as His chosen means of seeking to instil truth. What is a parable but a novel in little? A parable may be true in historical fact — its ethical truth may be complete, but if so the truth is accidental and not essential. When those who listened to the Master were told that 'a sower went forth to sow,' or that 'a certain man planted a vineyard, and set an hedge about it,' or 'a certain man made a great supper, and bade many,' or 'two men went up into the Temple to pray,' did they believe, or were they intended to believe, that they were being treated to a scrap of veracious history? No. The purpose of the Teacher was to win their hearts through the force of imagination. If there be any doubt of this, read the parable of Dives and Lazarus. Here the Master, who knew the workings of heart and brain, did not hesitate to give even presumably fictitious details which might enhance the force and conviction of His story — just as a novelist of today does. He followed the two men into the divisions of the 'under world,' and even heightened the scenic effect by the suggestion of a great gulf between the two. When Christ taught in such a way, are we to reprobate the method or even to forgo it? Should we not rather encourage and protect so potent a form of teaching, and guard it against evil use? 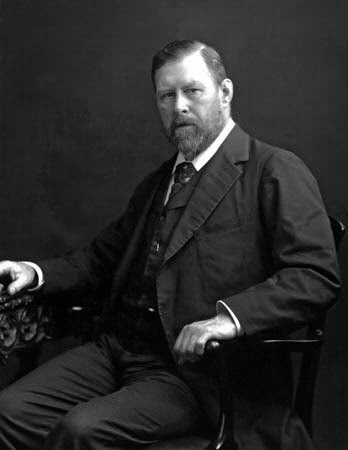 Source: Selection from Bram Stoker's essay, "The Censorship of Fiction", which was published in 1908, in Volume 64 of The Nineteenth Century and After. The Mystique of Hitchcock's "Psycho"